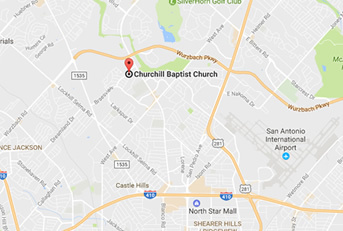 Churchill Baptist Church - San Antonio, TX: What is the HomePointe Online Center? Home > What is the HomePointe Online Center? Our online HomePointe Center will provide you with many exciting and practical tools to strengthen your walk with the Lord and help you bless the lives of those around you. And that is just a small sample of the many resources that will be available to you every day online and every Sunday at Churchill in our HomePointe Center. Many of these valuable resources are absolutely free like our informative HomePointer Guides, mp3 podcasts, and Recipe Cards for family activities. Many other outstanding books, DVDs, and activity kits will be available to you at cost. At Churchill, we are serious about equipping every home to follow Christ! We have a team of trained hosts available to assist you after the 8:30 or 10:40 service or you can come by and explore the Center on your own. If you have specific questions about our HomePointe Center and the resources available, feel free to contact any member of our staff.